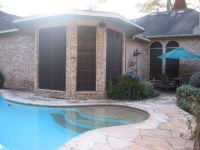 Sun Block Window Screens is a family owned company with a mission statement to provide quality workmanship and low competitive prices. Solar screens can help save more energy and therefore save money as well. Patio covers - Pergolas - Screen Enclosures , add value to the house and let the Homeowner enjoy the backyard with maintenance free products built to last. Roll-a-Way Shades - Excellent for windows, Doors , Patios & Store Fronts. Specifically designed to reduce heat transfer through windows, today’s solar window screens are an excellent investment for reducing energy costs, minimizing heat from entering your home, and adding beauty and value to your homes exterior. Available in five different colors with your choice of an 80 percent or 90 percent heat and UV protection screen, your home will look terrific and feel more comfortable than ever. We custom build the Solar Screen for your application. The installation of Solar Screens will add beauty and value to your home or business. There is no other product which provides the features, the elegance and the comfort that you get from Solar Screens. 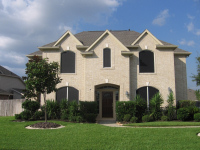 Fixed screens are the most popular and requested solar protection used in the residential sector. Pergolas have been used for shade and supporting plants for thousands of years. They were used in ancient China, Japan, Egypt, and Rome. Originally these structures were found in hotter climates. Eventually they were used in northern countries, not so much for shade but as architectural elements for gardens, as well as support for grape and other types of vines. Today pergolas are often used as an extension of our living spaces, creating outdoor rooms. They are an excellent way to transition from house to lawn or garden. Shade created by these structures and the vines that are often grown on them helps protect indoor fabrics and carpet from sun damage in addition to lowering indoor temperatures.